Here it is, in one place. Every Star Wars video made by HISHE (How It Should Have Ended), up through Star Wars: The Last Jedi, or maybe Solo, if it’s up yet. If you haven’t discovered this web series, you’re in for a treat. Keep in mind that their solutions would offer vastly shortened movies, with plot points that seem obvious in retrospect (ie – having the giant eagles drop the One Ring into Mount Doom, instead of having the Fellowship truck all over Middle Earth and, in some cases, die along the way)…But here they all are, in an in-universe chronological order (and not including the animated movie/show, or the dreaded Holiday Special). Hey, this one’s not yet been made! 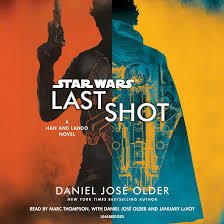 So, like any good Star Wars fan, you’re going to have to wait. You still have a good half hour of HISHE videos here to enjoy. Scheduled to open in 2019, Disney will open Galaxy’s Edge, an ENTIRE LAND devoted to Star Wars. You can’t see much of it right now, and the things you can see are a little hard to parse. Basically, you’re seeing the background spires of a alien city, on an strange new world. Galaxy’s Edge seems to be a response to the runaway success of Universal’s Wizarding World of Harry Potter – where they drop you into the entire town of Hogsmead (at the California park) – and let you run “hog”-wild pretending to be a Hogwart’s student on a rare weekend out. 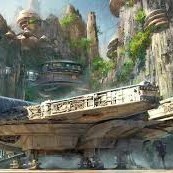 Galaxy’s Edge should be just as exciting, especially if your tastes lean more to sci-fi than fantasy. 1. Climb up into Tarzan’s Treehouse in Adventureland. The high viewpoints have great views, and you’ll have the treehouse almost entirely to yourself. 2. Get on the Disneyland Railroad at New Orleans Square. You will need to turn around to face the opposite way, but as you pass through Critter Country, you go right under some of the spires and peaks of the Galaxy’s Edge setting. 4. Another hidden find: If you try to circumnavigate the lake in New Orleans Square (in the direction of Critter Country, going left, past the Haunted Mansion), you’ll hit a wall. Literally, the path ends in a big flat wall — decorated only with a poster of how Galaxy’s Edge will appear, and no signage. It’s a quiet statement of excitement from the Imagineers. I can’t wait. Read more about where to find Star Wars fun this year (2018) before Galaxy’s Edge opens next summer. 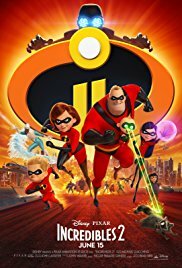 I was looking at the poster for the upcoming Incredibles 2 film, and noticed that it looked awfully familiar. And not just because I saw and enjoyed the first Incredibles film in 2004, but because the poster seemed…exactly like a Marvel film. Specifically, one in the Marvel Cinematic Universe, AKA, the MCU. Notice the shape, the look, the radial bi-symmetry of the thing, the arms reaching out, the circles on circles. Now compare that with the current MCU blockbuster…..
Avengers: Infinity War. 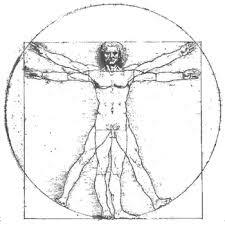 See the background circle, the hands stretching out, the DaVinci’s Vitruvian Man of the thing? 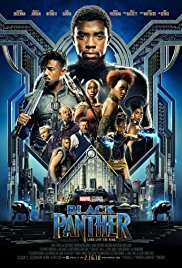 Black Panther‘s got the circles, the big head at the top, similar character groupings. Thor: Ragnarok really has the thickly layered Vitruvian Man thing going on, lots of circles, the bilateral symmetry. We can clearly see there’s some branding going on. Deadpool 2 can get away with this, because a) it’s a Marvel superhero film (not in the MCU, but still), and b) it’s a parody film that sees no harm in poking fun at the “Avengers thing”. Where it gets a little weird is seeing this imagery pop up in non-Marvel, non-superhero films, like Solo: A Star Wars Story. It’s not exactly the same, but someone definitely got the memo about the symmetry, the circles, and the layered character arrangement. Here the circles actually make sense, in-story, because we’re obviously looking through the cockpit of the Millennium Falcon. But the similarities are still there. We know that Star Wars is now owned by Disney, who owns Marvel, and also owns Pixar, which is how we get right back around to Incredibles 2, a Pixar film. See? 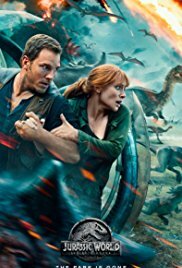 There ARE other ways to make an adventure poster. We’ve just gotten used to Disney’s featured look. We’ve been “branded”. My guess is we will keep seeing this kind of poster until a certain level of saturation sets in. And then Disney will come up with a new stylized code for their big blockbuster properties. There’s no big meaning to these kinds of things, but it’s still interesting to see how we relate to movie poster images. 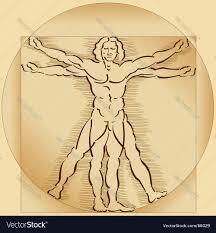 And the callback to the Vitruvian Man is surely one of the oldest memes. Someone on Disney’s team grabbed that ancient archetype and ran with it. I look forward to what happens when a non-Disney poster unthinkingly follows suit and uses this look. Like maybe when the next DC superhero film comes out. Disney will probably freak and file a lawsuit, but last I heard, DaVinci’s art is royalty-free, and circles are even older. Too bad there’s so much sand in the Star Wars universe. When I first heard this song about Star Wars and Sand, I played it a few times and realized it was way too catchy — impossible to tune out. But it’s so darn cute I don’t mind having the Force bouncing around in my skull for a spell. The funny thing, in the wake of my post-bliss big-screen experience with Solo: A Star Wars Story, I decided to do an entire chronological re-watch of the entire Star Wars saga (excluding the animated movie and series for now). So two nights ago I saw Phantom Menace again (I’m more forgiving of it every time), then listened to the song. Huh. Really does fit in there. And how does his son Luke beat him in Return of the Jedi? 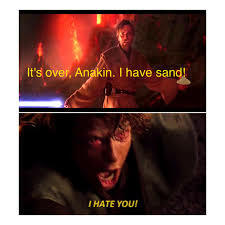 He had more Sand. These lines are no more strange than the awkward ones Lucas gave us, so go with it. Where’s a sandworm when you need one? 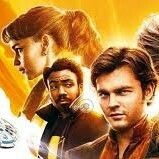 Last night Solo: A Star Wars Story splashed across screens in the US, to much excitement and fanfare. Everyone loves Harrison Ford’s Han, so people were excited and curious to see a different actor’s take on the iconic character. [pullquote]Geek that I am, I looked around for a party full of fellow fans to share the anticipation with before the movie premiered. [/pullquote]The best option in San Diego was a downtown shindig hosted by the Fleet Planetarium, with a 21+ pre-movie party full of activities, and a special screening of Solo at the Horton Plaza Regal Cinema. We met at a venue called The Sandbox. Here are the party details. The party started at 6:30, and while it was a little more low-key than I’d hoped, it was a good time. 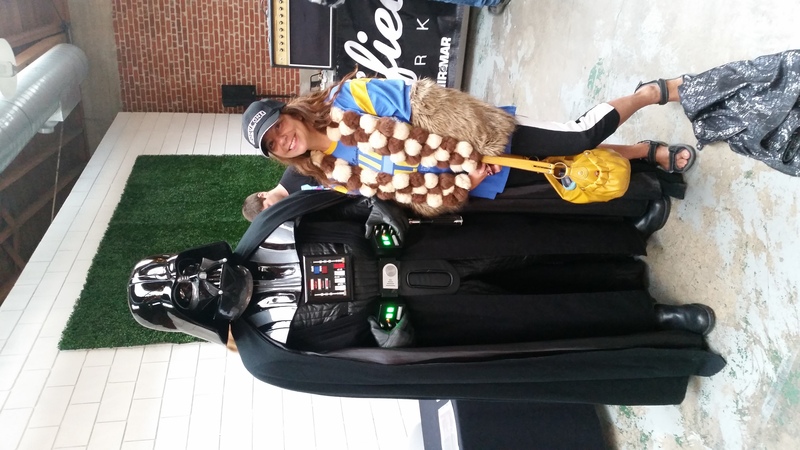 I got to hang out with Darth Vader (I could not stop calling him My Master, which is just weird, but it felt necessary). There were Storm Troopers, Emperor’s Guards, Kylo Ren, R2D2 (roaming via remote control), and Princess Leia, in full side-buns. Vader even had a voice breathing box — it was uncanny and great fun. You could interact with the characters and take photos with them, have a few Star Wars themed adult beverages, watch some Star Wars featurettes in a little cinema corner, and do science experiments, courtesy of the Fleet Planetarium. Some of the experiments were really stretching it to ‘fit’ into the Star War universe: the “Invisibility Cloak”, for example. Last I checked, that was a thing from Harry Potter. 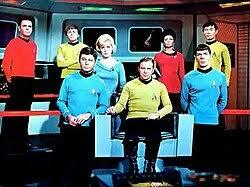 Or at least Star Trek, with their cloaking shields. So maybe it didn’t fit, but the experiment was somewhat cool. To wit: if you place a clear glass teardrop into a cup of baby oil, you can’t see it. Really. 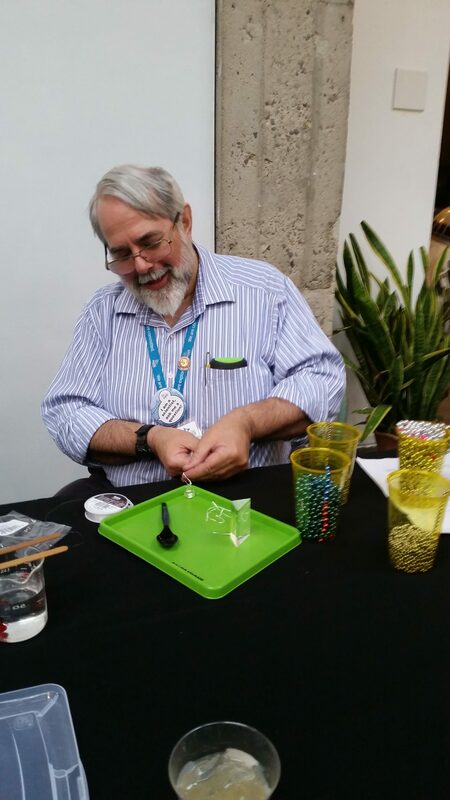 Some other activities made more sense — we got to use prisms and 3-D glasses to see light being excited by sodium, potassium, argon and such…relating, of course, to the color of one’s lightsaber. The shrinky dinks station was the most fun. There were a variety of blacked-out line drawings to trace onto plastic, which were baked in toaster ovens, resulting in little keychain charms. I made three. 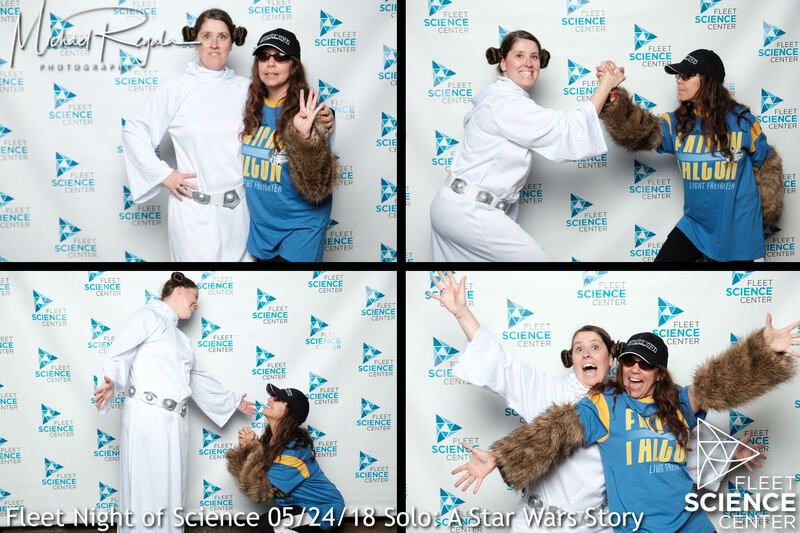 There was a nice photo booth with a professional giving out photos for free, so I got to goof around with Princess Leia a bit. Who knew the Princess could lighten up and have a spot of fun? From May the 4th through the opening weekend for Solo: A Star Wars Story, Disneyland’s Tomorrowland has a makeover hailing from a long time ago, in a galaxy far, far away. In other words, The Force has taken over. 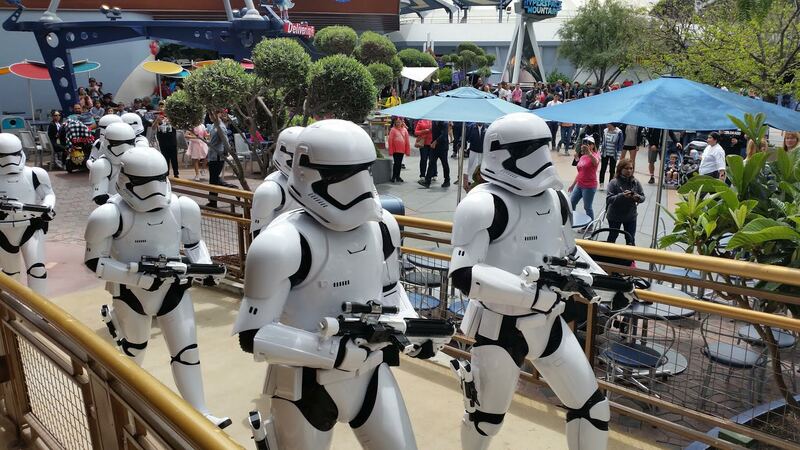 With Star Wars now a Disney property, Disney is the upcoming go-to place for immersive SW experiences — and next year, with an entire Star Wars “Land” opening, it should be as exciting as Universal’s Wizarding World of Harry Potter. While Star Tours (A Star Wars motion-car ride) has been at Disneyland since 1987, that was essentially it for interesting intergalactic mayhem, for a long stretch of time. Nowadays, fans can buy tickets for exclusive “May the 4th” night-time parties (this year’s $99 event sold out in mere hours, prompting Disney to open a second evening’s events), a $130 intergalactic shindig on May 27th (celebrating the opening weekend of the young Han Solo movie), and a temporary re-do of several older areas of the now scruffy-looking Tomorrowland. Tomorrowland desperately needs an upgrade. It may have seemed very futuristic when it opened in 1955, but now just looks like a joke. It’s dated almost beyond repair. For a while that ‘land’ limped along as a sort of nostalgic look back on what the future would bring, but that stopped being relevant when the baby boomers started aging out of attendance. Star Tours went through several different story iterations, and became the only attraction worth seeing in that entire section of the park. Call this area a sci-fi money pit. Mountain. The outdoors section of the line is still awful (only grey concrete to look at for however many hours you wait to get inside). Once the line gets inside the building, lots of Star Wars stuff appears. The best part is a video mini-movie featuring Admiral “It’s a Trap” Ackbar, describing your new mission, and a hope that the Force will be with you. The ride itself seemed more fun than I recall. I think it’s darker inside, which makes the roller coaster part more fun. You don’t know which way the coaster will go next — up, down, sideways, zig zag, etc — and it’s a lot more exciting. And now the coaster starts off with a Star Wars send-off, and a brief passage through the shooting lights of hyperspace. 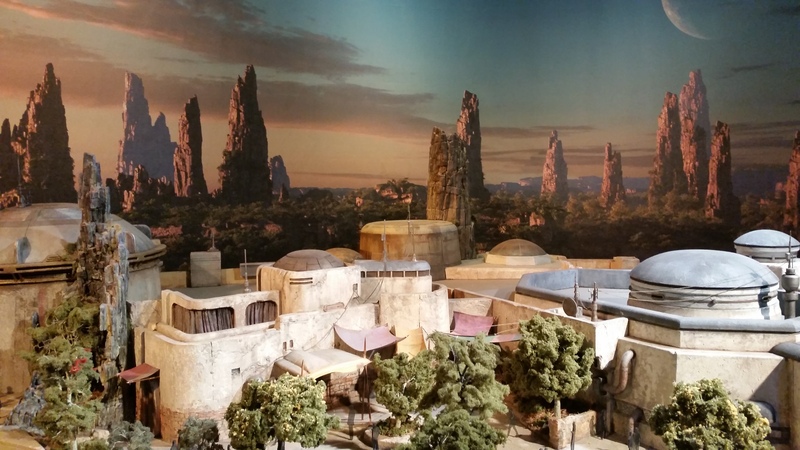 If they keep the Star Wars elements intact after this month, the ride is again worth doing. The line for this attraction is amazing. It’s almost better than the ride itself – no small feat. Once you get inside the “Spaceport Terminal,” every detail is seen to in a wacky, unbridled creative sense of joy. C3PO and Artoo are in there, as well as Number Five, from 1986 movie Short Circuit, apparently in charge of baggage. This is how you manage crowds! And the motion-car attraction is a nice experience. It’s upgraded to cover the sequel trilogy with Kylo Ren, and your shuttlecraft is still piloted by those old counterpart ‘droids. They’ve added 3D glasses to the experience. I’m pretty sure this attraction used to be occupied by Captain Eo (Michael Jackson himself) way, way back in the day. Anyone remember that? As you leave Star Tours, you transit a huge store full of SW merchandise. If you like Star Wars, drop your cash here for some mighty cool swag. You can also enter the store without entering Star Tours. This little show occurs several times over the course of the day, featuring Captain Phasma and her crack First Order troops marching to fanfare throughout Tomorrowland. Phasma barks out commands, and the troops scan the audience at phaser-point, looking for Resistance spies. [pullquote position=”right”]I recommend standing in front of, and facing, the Star Wars Launch Bay for the best viewing. If you’re lucky, you’ll get singled out as a spy. [/pullquote] It’s a short show, but fun. This show is mostly for the kiddies, who get to put on Padawan robes and learn lightsaber techniques onstage. It’s got showings all day long, and has a bit of story to it. Fun viewing for every age. This area used to be a cafeteria, if I recall correctly. How…inspiring? I’m glad they turned it into a Star Wars Museum. 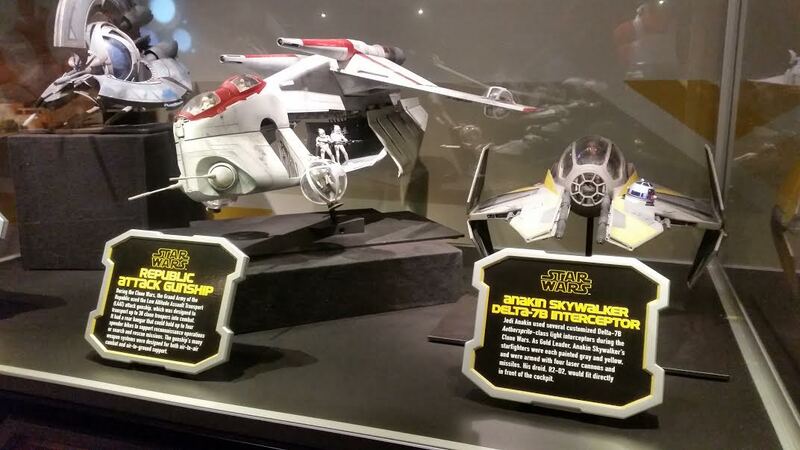 And it’s the kind of museum that’s immersive – props are treated as actual relics and archival pieces, with fantastic signage, costumes, movie featurettes, and lots of room for more Star Wars additions as new movies roll out. Best thing – there’s no line, and barely anyone was even in there when I visited. It’s a cool and dark refuge for hot days. I really liked this space, and took only a bazillion photos (so I could read the “museum signs” at my leisure). There’s a section in the Launch Bay that sells some extremely exclusive merch. Like a full-sized Storm Trooper, retailing for $6,000. Or you can get a copy of Rey’s Last Jedi shirt for only around $100. These characters are available all day for photo opps, located in their own private chambers within the Star Wars Launch Bay. Wait times were only 5-15 minutes while I was there. The costumed cast members act in character for you, making it a super cool experience. Plus, you get to hug Chewbacca. He gives great hugs. Seriously, ALWAYS take the time to hug Chewie. Scheduled to open in 2019, Disney will open Galaxy’s Edge, an ENTIRE LAND devoted to Star Wars. I assume they will move the Tomorrowland’s SW attractions there…leaving…exactly what in Tomorrowland? There won’t be anything left that’s worth doing. I say they should raze Tomorrowland to the ground and come up with a new and more cutting edge property. (What Disney franchise hasn’t been tapped yet? Pixar is covered already. Personally, I’d love to seeAliens, Star Trek, or Titanic themed areas, but those aren’t Disney owned. Avatar would be great! Disney World already uses Avatar at their Animal Kingdom Party…so maybe they will import some of that here and revamp an erstwhile Tomorrowland into Pandora. James Cameron’s new Avatar movies are coming along soon, we hear. 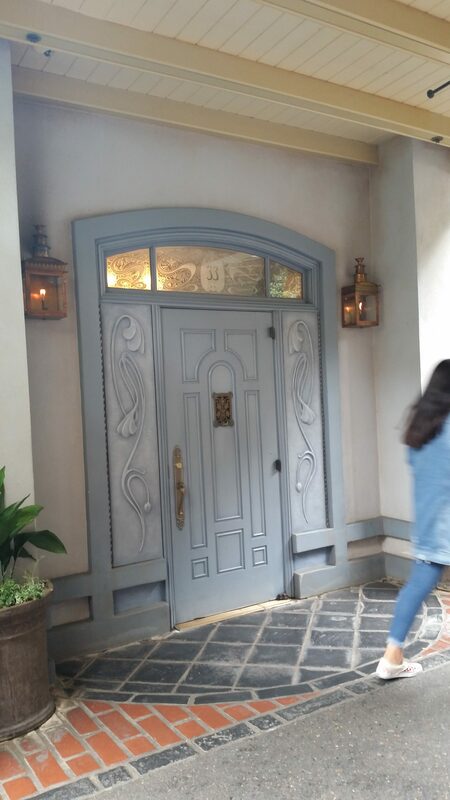 On a recent journey to Disney to celebrate “Star Wars Month” (from “May the 4th” through the May 25th weekend release of “Solo: A Star Wars Story“),[pullquote] I looked for the mysterious, mostly unheard of, never advertised, and extremely expensive Club 33. [/pullquote] After much searching, I found the door. What’s Club 33? I didn’t know it existed until this month. 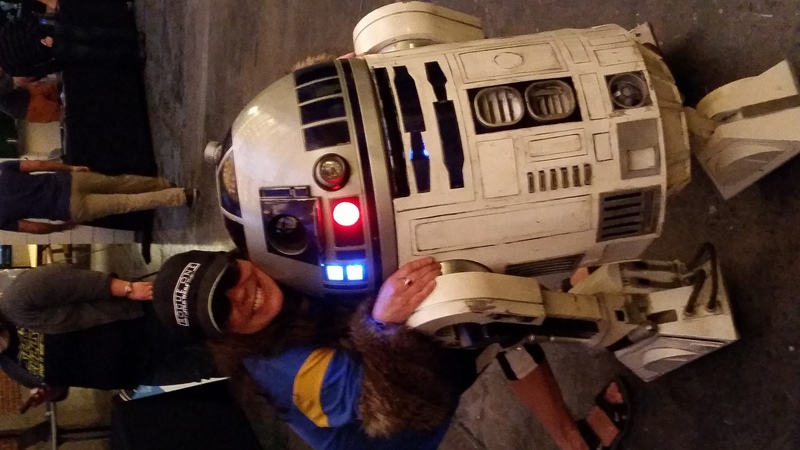 While visiting San Diego’s Intergalactic Brewery for their own May the 4th Star Wars celebration, I mentioned my upcoming Disney trip. The local bar-going geeks promptly told me to look for the “hidden door” to Club 33. “What’s that?” I asked. “An exclusive restaurant,” someone chimed in. “You can drink alcohol there,” the bartender helpfully added. I wanted to know more. Disneyland is so thoroughly family-friendly that beer and wine is banned in the park. So I did a little internet searching. Online sources report Club 33 memberships charge $50k for an initiation fee, plus annual dues of around $30k. And then there’s the food and drink prices; a hamburger reportedly costs $42 on the inexpensive, a la carte end. My guess is this is a celebrity haven. I had dinner that night at The Blue Bayou, a themed restaurant located inside the infamous Pirates of the Caribbean ride (another rare dining experience, although more affordable to mortal man) and it’s true, there’s no booze on the menu. Gumbo, yes — Chardonnay, no. Which leads me back to Club 33. Pirates of the Caribbean is located in New Orleans Square, which was my only clue to locating the unsigned, mysterious door. Finding that was on my Must-Do list for this trip, the only must-see besides checking out the Star Wars events. New Orleans Square isn’t very big, but it’s packed with the most restaurants and some of the very best rides. It took some time to locate. [pullquote]I’m not even going to tell you how to find it, because, quite frankly, I’ve given you enough clues. [/pullquote]Most of the fun is in the seeking. 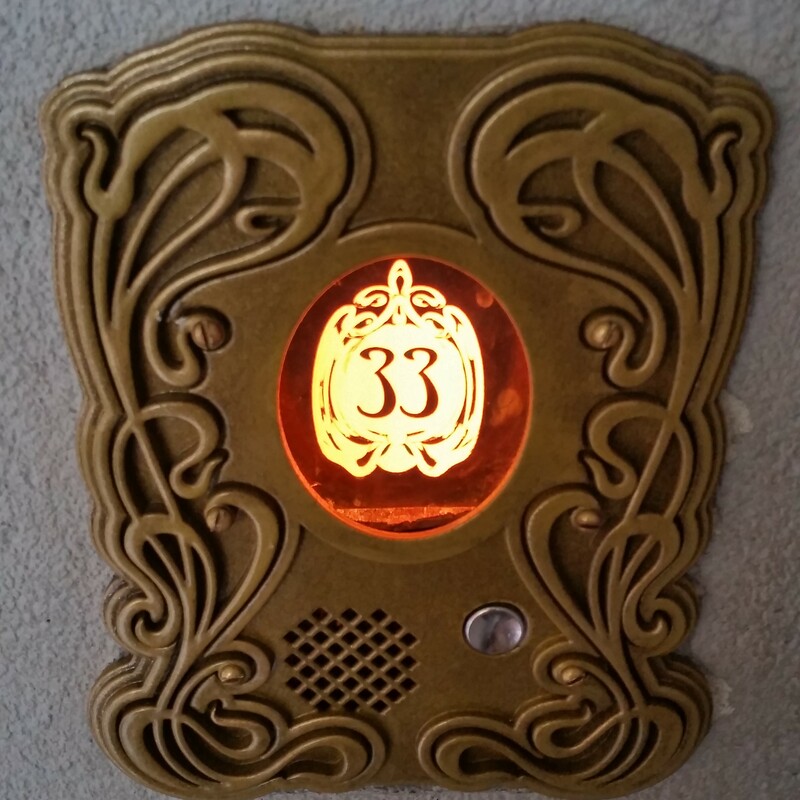 Suffice to say that Club 33 does exist. I even got a quick peek inside when someone used their key card to enter: it looks like an art nouveau-style speakeasy. I took a few pictures of the entrance to assist you in your quest. And if you manage to get in, let me know if it’s worth the price! Han Solo is everyone’s favorite space rogue. Star Lord is kind of funnier, and might be almost as cool, but no one can top Han, or — at least — Harrison Ford’s version of him. He still had what it took to make us love Han all the more, in the Star Wars sequel trilogy opener The Force Awakens. [pullquote]We’ll be seeing soon how well Alden Ehrenreich carries off a younger version of last generation’s most singular and iconic science fantasy movie character. [/pullquote] From all reports, Ford himself has given Ehrenreich’s Solo: A Star Wars Story rave reviews. And this is a normally taciturn actor here. Ford doesn’t do ‘rave’ anything. 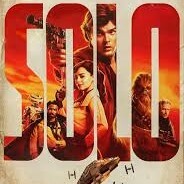 So, here is the new 2.22-minute featurette, “Becoming Solo.” Enjoy, and remember, the Force will be with you, always. Even if you’re a scruffy looking, low-level space criminal with a walking carpet for a co-pilot.